Yesterday, a bunch of friends got together to celebrate Day of Man. Each summer, we go away — whether camping in upstate New York or bachelor parties around the country — however, this year, due to several new and coming babies, we decided to truncate our Weekend of Man into Day of Man. In fact, one of the guys we were celebrating had his baby yesterday morning. Like a trooper, new dad joined us for a celebratory dinner at Fette Sau. Anyhow. There was one conversation that sparked several side conversations throughout the day, typically a good sign of a great topic. A buddy posed this question: You can only listen to five artists for the rest of your life. You get all the work they did. So for example, if you chose John Lennon, you’d get Lennon plus the Beatles. You couldn’t do the reverse, choose the Beatles and get all the solo work by each of the Fab Four. I thought about my answer and the first two came rather easily, as those who know me wouldn’t expect anything less: Jerry and Trey. So I get Jerry Garcia Band and all his side projects, along with the Dead. 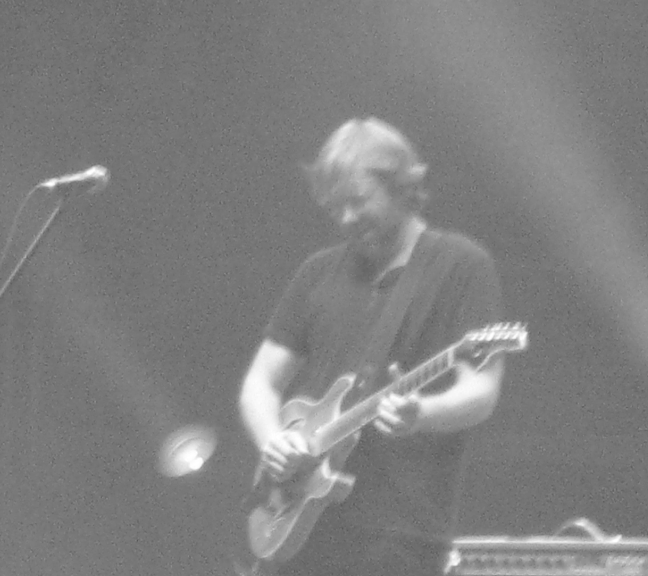 With Trey, I get obviously Phish, but also Oysterhead and the different iterations of TAB. My third choice surprised the table, but all deemed it acceptable: Eric Clapton. I get some of the most influential rock and roll, and some nifty guitar work — his solo stuff, Cream, Blind Faith, Yardbirds. The fourth choice, in hindsight, is another no-brainer for me. Bob Dylan. Beyond his ever-growing and eclectic music catalogue, I also get his work with The Band and the Traveling Wilburys. My last choice, however, is difficult. I could not imagine not listening to the Beatles ever again (remember, this thought experiment’s parameter is that your choices are the only music you can listen to for the rest of your life). But I thoroughly enjoy Lennon, McCartney and Harrison’s solo work. We can toss out Ringo; sorry Richard. Musically, I think Harrison’s is the most elegant and sonically/tonally pleasing to the ear. McCartney’s is solid, but a little too Beatlesque for my taste sometimes. And Lennon’s music can range from the beautiful to the jarring. So I’m still thinking about which of the three to make my fifth artist. Right now I am leaning towards Lennon for no particular reason. Maybe because he wore glasses and I wear glasses and growing up, that was something I could relate to. The fifth one is tough; they’re all tough. How could I not listen to the Stones or Floyd or The Doors or Miles or Wes or even my own (defunct) band ever again? How could I not hear the genius of Zappa or the dexterity of the Allman Brothers or the humor of Steely Dan? Some people’s responses: Sam Cooke, Peter Tosh, Paul Simon, Roger Waters, Ryan Adams, Howlin’ Wolf, Levon Helm, Miles Davis, Jack White, Peter Townshend, Jimi Hendrix. But we’ve all done played this sort of game before, with different variations: top five movies; top five books; top five albums. I liked this question because it makes me think beyond the artist and to the kind of music I could listen to until my heart beat hits its final rest note. I noticed that my choices have deep catalogues, both as solo artists and as the member of a band. Colin Jones, via his girlfriend, asked a terrifying question: would you rather never listen to music again or listen to just one song? If one song, which one?